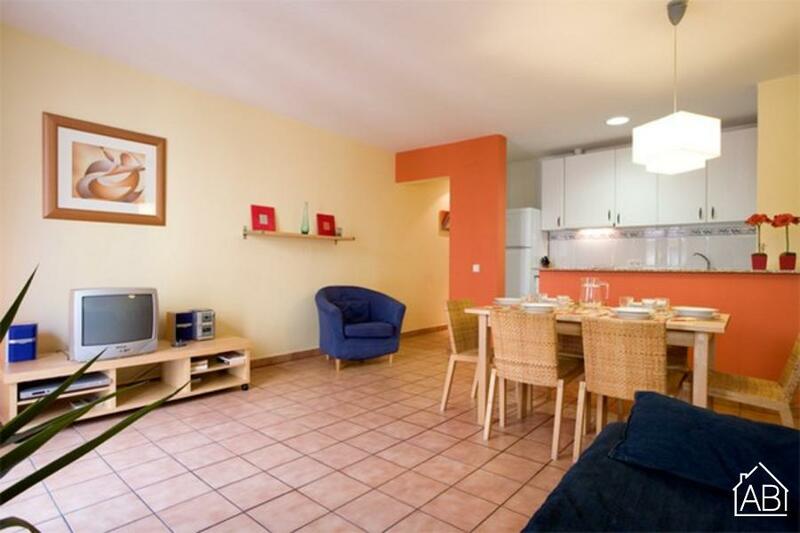 This comfy two bedroom apartment in Barcelona is located just steps from Las Ramblas, meaning you will enjoy easy access to the center of Barcelona as well as the beaches! This apartment has a capacity of up to six people. Both bedrooms are furnished with two single beds, one in the form of a bunk-bed. A double sofa bed can also be found in the living room, alongside a TV with Satellite, making it a great spot to kick back after a long day. An Internet connection is also available in this apartment. The well equipped kitchen makes it easy to create your favorite home-cooked meals, all in the comfort and privacy of this lovely apartment. Be sure to step out onto the balcony from where you can look out over this beautiful ´barrio´.